My first sewing machine was a gift from my parents at the age of 12. Early on I learned to sew clothing in classes at Sears on my Kenmore. I did make some of my own clothes at the time. An apron was the project for sewing class in school. I still remember my pink gingham apron with pleats! Of course as most quilters learn, we become the family mender & hemmer! I shortened a lot of work pants for my dad! I made my first quilt at this time without a clue about quilt making. College life was a busy time so sewing was on the back burner. Following undergraduate school I worked in the Addictions field for a few years before returning to complete a Masters Degree in Counseling. Working full-time and going to school full-time was really busy and tiring! After graduation I wanted something FUN to do, took my first quilting class. It was Eleanor Burns Log Cabin quilt. I gave this quilt to my husband- to-be (didn’t know it at the time) as his housewarming gift at the purchase of a his house. He still won't let me get rid of this quilt even though I have learned a lot about quilt making and color since then! In the past 25+ years I have had a place in my life for quilting. I have pursued quilting through books, magazines, classes, videos, guilds, quilt shops, coordinating block of the month programs, making samples for quilt shops, consignment work in gift shops, entering and working on quilt shows in the community, entering a few national shows, making hundreds of quilts to be given, donated or sold. 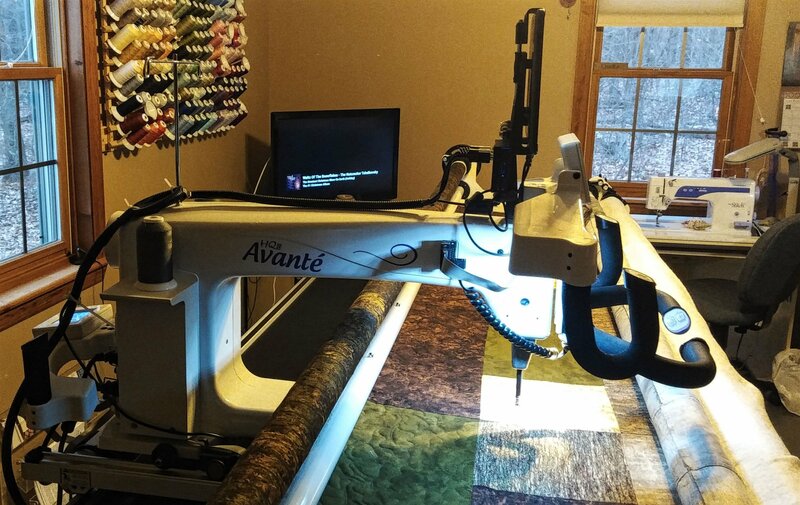 In 2008 I decided to give longarm quilting a try, purchasing my first machine. A year later I began quilting for customers. 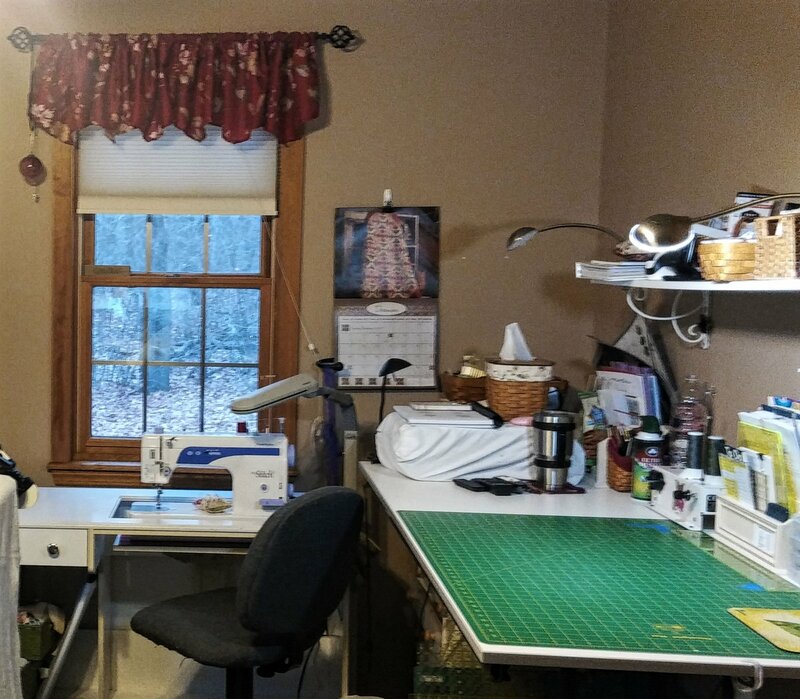 As this business grew and my skill increased I have upgraded machines and moved into computerized quilting about 3 years ago. I retired from my 19 years of teaching at a local community college in August 2016 and now work full -time in the longarm quilting business and pattern design. Throughout my quilting journey I have my husband of 25 years Steve by my side, and our daughter Lauren who is currently working toward her BS in nursing. My quilting buddy is our cat Cheddar who keeps me company while I work (play). My happy place is working/playing here in my home studio. It is a great place for quilting, in a loft with fabulous natural light and a great view.